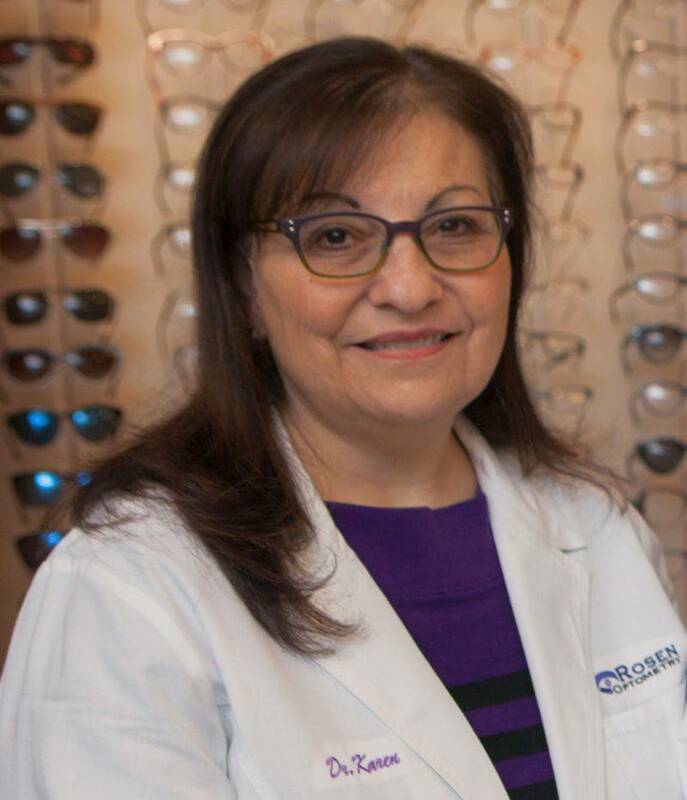 Dr. Karen Rosen received her Doctor of Optometry degree from the University of Missouri-St. Louis College of Optometry in its first class in 1984. She previously received a B.A. in Biology from Indiana University in 1977. “Dr. Karen” is a member of the American Optometric Association, the Missouri Optometric Association, the Missouri Optometric Foundation, the Heart of America Contact Lens Society, and the St. Louis Optometric Society (Past President). She is a Fellow in the American Academy of Optometry. Dr. Karen served as an examiner for the National Board of Examiners in Optometry for over 10 years. Dr. Rosen served on the Missouri Board of Optometry from 1993 through 2004. Dr. Rosen was named Optometrist of the Year by the St. Louis Optometric Society for 2006. She was named one of Vision Monday Magazine’s most Influential Women in Optical for 2005, and one of the St. Louis Business Journal’s Most Influential Business Women for 2009. Dr. Rosen has practiced in South St. Louis County since 1985 with her husband, Dr. Steven Rosen. During this time, she participated in 19 International Missions to developing countries to examine and provide new and recycled eyeglasses to people in need. Some of the countries visited include India, Ecuador, Mexico, Tunisia, Chile, and Thailand. Dr. Rosen is excited to be in private practice. “I want to provide modern, high quality care to my patients in a warm, friendly, professional office. I want to continue serving the community with my own personality and style. I want my patients to not only see great, but to look great, too.” Call Rosen Optometry to set up an appointment.